This image shows the sun in wavelengths of 171 angstroms, which are typically colorized in blue. 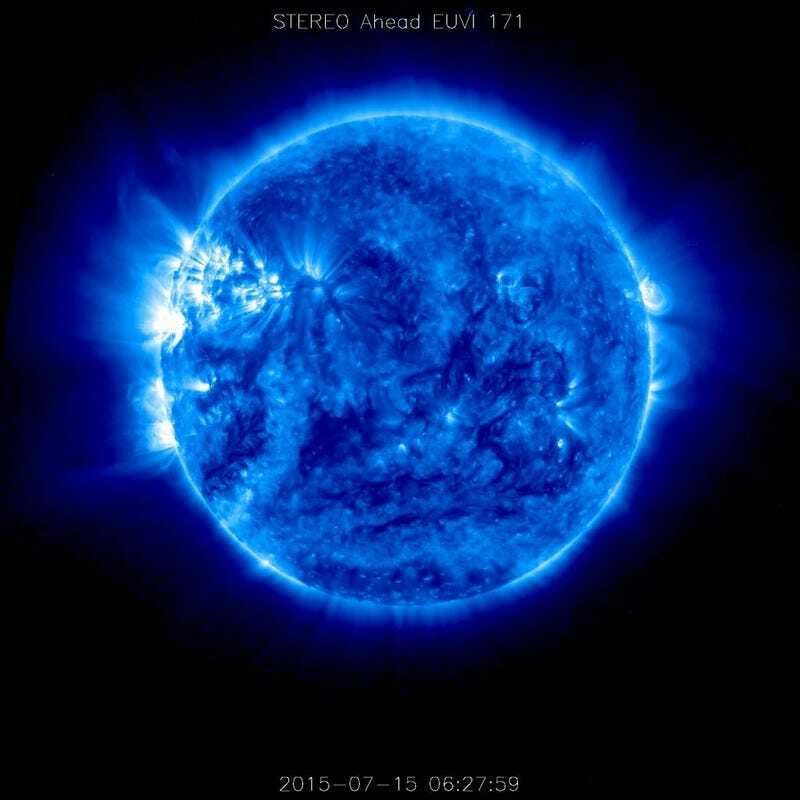 STEREO-A has been on the far side of the sun since March 24, where it had to operate in safe mode, collecting and saving data from its radio instrument. The first images in over three months were received from STEREO-A on July 11. Pretty enough to inspire a pop song or two, too.